The state delegation sounded off on the guilty Trump affiliates. By Spencer Buell·	 8/22/2018, 10:56 a.m. So, uh, Tuesday was a pretty big day. As you have probably heard, in an afternoon for the ages, two men who played major roles in his campaign—former chairman and expensive rug collector Paul Manafort, and ace lawyer Michael Cohen—were deemed guilty of crimes. Cohen pleaded guilty to felonies related to banking, his taxi business, Stormy Daniels, and Karen McDougal. 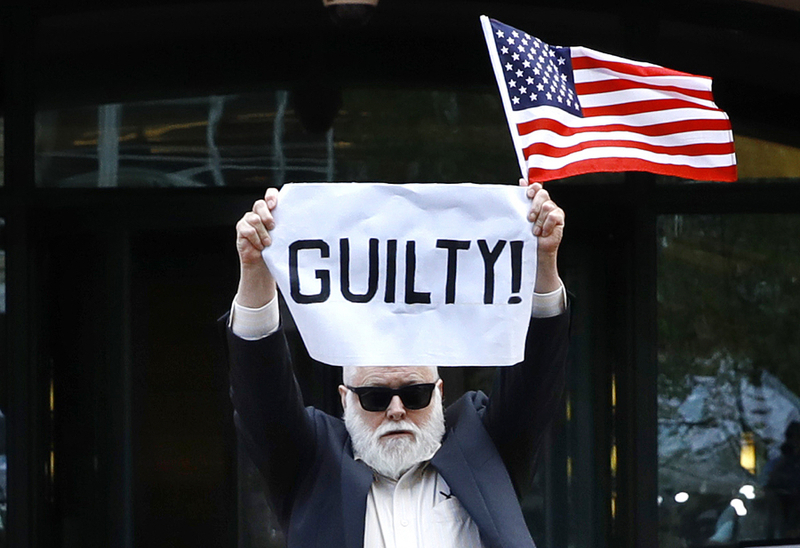 Manafort was found guilty on 8 counts by a jury of his peers. All in all, it amounted to what will probably be remembered as one of the most damaging days of Trump’s presidency. And wouldn’t you know it, your local elected representatives had a lot to say about it. Other Massachusetts electeds were also eager to get some licks in. Here’s a quick review of all the zingers, burns, and observations the Massachusetts’ delegation wrote or had their staffs write for them in the wake of the bombshells.